Especially for moms of teens and preteens, a practical, Christ-centered guide to helping your daughter grow in mind, body, and spirit. As the mother of a young girl aged 9 to 16, you want a lot for your daughter. You want to see her soar in self-confidence and accomplishment, to navigate a safe course through the treacherous waters of school, culture, and hormones, and to grow closer to God while learning to rely on his Word. And through it all to maintain a warm, open mother-daughter relationship. Easy-to-read and deeply personal, this invaluable book draws on a wealth of experience, careful research, and a deep grounding in the Bible and Christian faith. 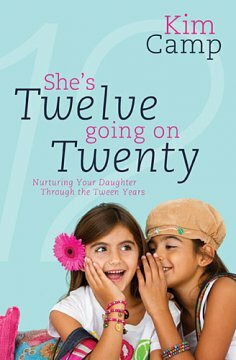 "Working It Out Together"at the end of each chapter provides communication starters and activities to help you and your daughter talk things out and plot a positive course together for the challenging but exciting adolescent years. this book is great for giving real life examples of that typical teenage girl behavior we all know oh-too-well. i loved how the author gave some responses that parents typically give to these behaviors and shows the effects on the girls. this mama right here is far from perfect and needed to read that. the book is divided into 3 parts: spirit, soul, and body. i absolutely loved that the end of every chapter included activities for moms and daughters to do together to apply the teaching from that chapter. this book is great for any mother of tweens or teens. so much can be learned from this book!